The traditional web provides a wealth of crucial evidence to those in the legal profession, helping to determine the outcome of cases and the fates of plaintiffs daily, worldwide. Although today the web is the cornerstone of our justice system, the methods we use to store and reference web evidence today have many flaws. These flaws limit the reliability and trustworthiness of said evidence. Here, we will explore these problems and explain the solutions offered by the permaweb, specifically, Arweave’s archiving web extension. When citing or referencing a piece of web evidence or research, we typically link to the content with a URL (‘unique resource locator’). URLs on the traditional web simply point your web browser to the location of your web evidence. However, traditional web links are not truly permanent, and are subject to loss and change at an alarming rate, and when this happens it’s very difficult or even impossible to relocate your web evidence. When a link ‘breaks’ and no longer points to an active web page, this is known as ‘link rot’. 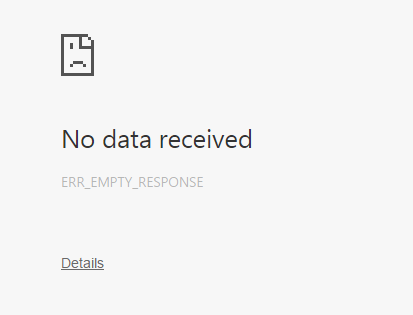 When this happens you’ll often find a 404 error like the one above, or if the whole domain is now dead, something that looks a little like this, depending on your browser. 70% of Harvard law journal articles and 50% of U.S. Supreme Court rulings suffer from link rot. Of course, when you encounter a 404 error, you can try searching for the content elsewhere on the web (for example with the Wayback Machine), but this is time consuming and you are definitely not guaranteed to be successful. Ultimately, things can simply be deleted and lost from the internet, despite what some may wish. Naturally, when you’re preparing for a case, disappearing web evidence is the last thing you need. You need a reliable, permanent way of storing and sharing online evidence. Causes of link rot are varied, including an organisation moving to a new domain name, restructuring their site map, or deleting pages. We explore some of these reasons for link rot in more detail here. Clearly, if you’re relying on access to web evidence for your work link rot can be a serious roadblock. It’s vital to retain access to your web evidence now and far into the future, given that rulings will impact case law and future rulings potentially for decades. The permaweb is designed to offer a solution to link rot. All pages archived with the Arweave web extension are automatically given a truly unique, truly permanent identifier that will never, ever change. This means you can say goodbye to link rot! Here’s an example of a permaweb link with a unique identifier: https://arweave.net/saYqBP_aEVTlpc62xaCOtWgmVKPdQe566Z5Wiz_kRFs. Content drift is a very worrying phenomenon as your case relies on reliable, accurate citations of web evidence for transparency and legitimacy. When you archive a page onto the permaweb, it essentially stores a frozen snapshot of the page’s contents as it was at the time of archiving, immutably. This means that you don’t have to worry about the page being lost, its contents changing subtly (or dramatically! ), or it being deleted. Your web evidence will remain on the permaweb forever, exactly as it was when you archived it. Just like with link rot, the permaweb offers a genuine solution to content drift that you can rely on. When trawling the web for evidence or research, one time-consuming challenge can be finding efficient methods of storing and organising said evidence. Yes, you can store lists of URLs from the traditional, impermanent web, but as we’ve demonstrated they will eventually suffer from link rot and content drift. Alternatively, I’m sure many people print physical copies and/or use your browsers built-in ‘Print to PDF’ function. These copies have to be stored somewhere, which can be very inconvenient and unreliable, especially with physical copies. The permaweb offers approximately 150 automated backups as standard, and this number is intended to increase steadily over time, many years, decades, and generations into the future. Simply put, this means you don’t have to worry about maintaining your own backups! The permaweb will automatically fuel the creation of an increasing number of replications of your backups, with no extra cost to you at all. 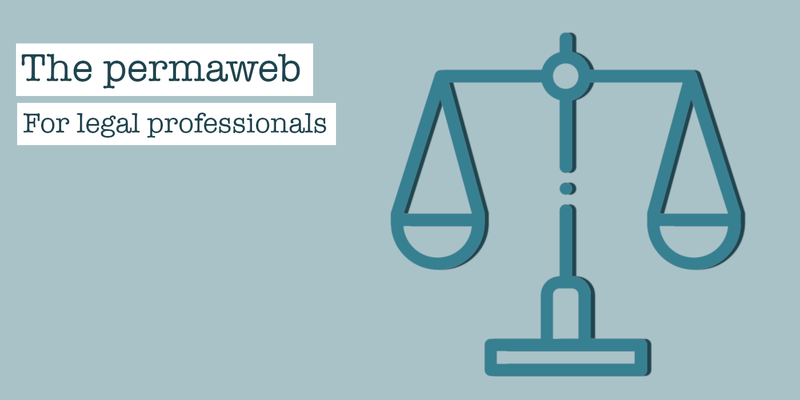 So, in summary, the permaweb is a very powerful tool for any legal professional. By providing truly permanent links and snapshots of vital web evidence and citations to backup your work forever, the permaweb can help you and future generations in your fight for justice.